Yamaha Banshee Long Travel System - one kit left! We have only one kit available! An Elka stage 4 front and rear shock set with the all new Alba Long Travel MGC a-arms, brake lines, brake line clamps and basically every nut bolt and washer required to completely dial in your Banshee for nearly $1400 under retail! 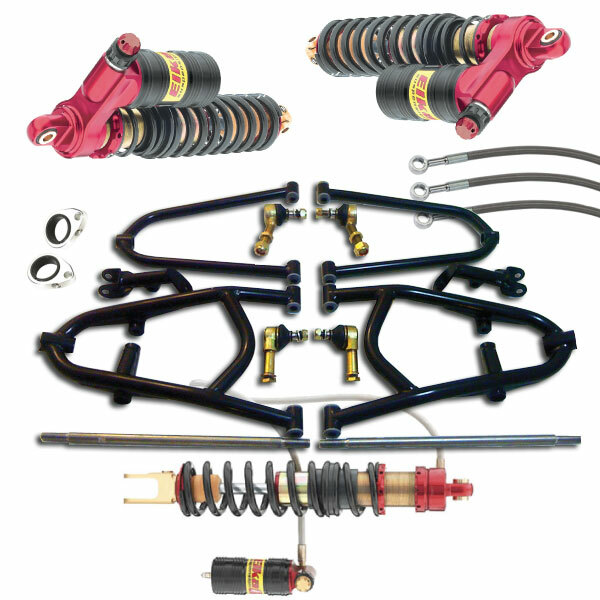 We also have a complete set of front and rear Elka Legacy shocks for a YFZ450 and a Elka stage 4 TRX 450 rear shock in the clearance section. Check it out!